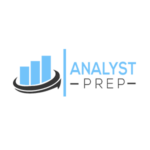 AdaptPrep CFA Review is quickly gaining popularity as a time efficient and tech-savvy way to study for the CFA® exam. Compania a reproiectat complet materialele sale de pregatire si platforma sa se concentreze pe viteza si eficienta. You can choose from “Complete,” “Practice,” or “Learn” for Level 1, Level 2 and Level 3. Their adaptive learning technology and Progress Tracker keeps you focused on the essentials, and the new platform was designed to load quickly, especially during the busy weeks before the CFA® exam when many students are trying to study at the same time. AdaptPrep’s affordable prices are well below the industry average and make it even more attractive if you are on a tight budget. Take 10% OFF AdaptPrep CFA® Level 1, 2, și 3 Complete courses! This course cuts right to the chase because there are no distractions on the course dashboard. You can choose from three options: “Learn,” “Review,” or “Practice” for Level I, Level 2 and Level 3 of the CFA® exam. Readings that accompany the video lectures are located in the same module as the videos and can be downloaded and printed as a PDF. You can click on the reading from the electronic manual and then watch the related videos from one central location. AdaptPrep CFA® is designed to accommodate mobile users. There is no need for an app because you can upload the course right from your browser. The mobile version is perfect for busy professionals as the interface works very well on smartphones, the audio is crystal clear, and the graphics are relevant and memorable. Customizable quizzes are easy to access from your mobile device or smartphone as well. 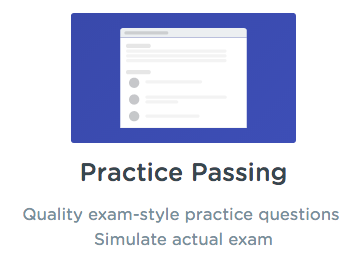 Just select the sections you want to test yourself on and the quiz will contain practice questions that apply to those topics. Score your exam and find out which answer was the correct choice and why. AdaptPrep has worked hard to make the site faster in terms of response time. By adding additional databases and servers to create redundancy, Adapt Prep ensures that you won’t be slowed down by the sudden spike in users in the last few weeks before your exam. The videos we watched loaded and played without slowdowns or buffering and exams were scored quickly. You can take advantage of the offline mode if you have already started watching the videos or taking an exam, however, you’ll have to reconnect to the internet in order to have it graded. Mike Carmody’s short and to-the-point instructional videos only last about 10 minutes each! You’ll have access to 40+ hours of instruction per level that have been broken down into more manageable chunks of time so you can learn and retain information more efficiently. Carmody is an experienced and engaging instructor who focuses on the most essential material. With his instruction you’ll be able to gain a solid understanding while still having enough time to tackle a large number of practice questions in the test bank. A split screen with his lecture on the left allows for graphics and animations on the right that emphasize the most important information to remember. Questions are worked out by the instructor in the videos on an easy-to-read, typed screen. 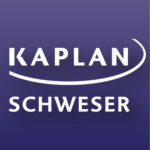 Many practice questions are accompanied by video explanations of the correct answer. 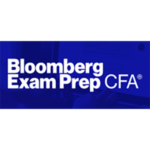 AdaptPrep’s Topic Mastery report provides feedback assessing your preparation for your next CFA® Level I exam. Predicted Scores range between 0%-100% for each topic, consistent with the CFA® Institute grading. Scores above 70% are presented in green, scores between 50%-70% in yellow, and scores below 50% in red. 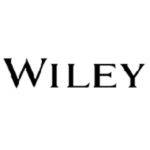 Topic Mastery estimates your score Prediction Range on a topic once you’ve answered 10 practice questions on that topic, and then after each quiz you take on that topic. Once you’ve completed at least one quiz in all 10 topics, we calculate a Prediction Range for your score on the entire exam. Topic Mastery serves as a guide to your preparation. The CFA® exams are broad in scope, and understanding the concepts in the syllabus thoroughly is essential. 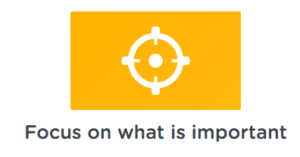 We encourage you to dedicate more time to topics that need more improvement. 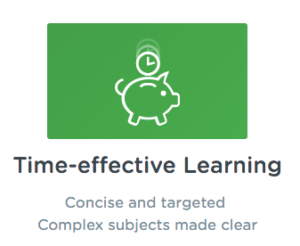 With Topic Mastery, you can study more efficiently and master the CFA® exam. AdaptPrep has many more innovations in the pipeline too. 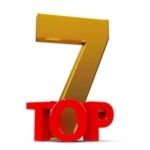 The company is constantly adding new features like study tips and video explanations. We hope to see more features like the “Level I in 60 minutes” for their Level II and III courses as well. This is a great video series which gives you a quick overview on the major Level 1 topics likely to be tested on. Pull out your smartphone right now and try the course for FREE! 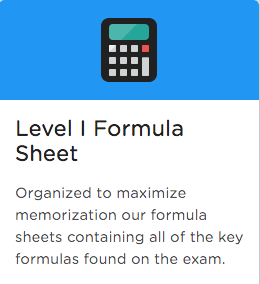 The free trial gives you access to their CFA® Formula Sheets (downloadable PDF) which contain all of the key formulas found on the exam. You literally have nothing to lose so even if you don’t intend on purchasing their course, I highly recommend that you take advantage of this. No credit card is required to access to the trial version, simply enter your email address and you’ll be setup within a matter of seconds. 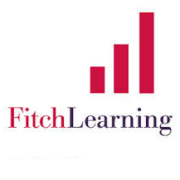 Also included in the free trial are sample video lessons, practice problems and quizzes, and a study schedule planner. AdaptPrep is now offering Crush readers an exclusive CFA® discount. Just type in the Adapt Prep coupon code and get a great deal! Some of the AdaptPrep products are recently updated and released, which means there isn’t as much user feedback. From all reviews so far, however, the updated materials are great and in line with the rest of the company’s great course components. This course is a great find if you prefer to study from your smartphone or tablet. The user-friendly mobile site and the high definition videos and direct links to pertinent readings make this a very organized and efficient way to study for the three levels of the CFA® exams. AdaptPrep will appeal to self-motivated learners because its topic mastery feedback system promotes efficient studying for the CFA® exam. 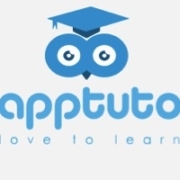 If you are on a tight budget and are a good self-studier, AdaptPrep would definitely be an excellent choice. AdaptPrep offers a great product for a relatively low price. Best of all, you won’t have to worry about an app crashing while you study because the platform was developed especially for mobile devices and smartphones. You will definitely appreciate that the videos are short (10 minutes) and that you can always turn to the 490+ page electronic manual for additional information as necessary. 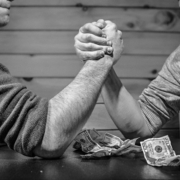 AdaptPrep offers the best bang for your buck study materials on the market and costs less than half as much as the average CFA® review course. Regardless of which CFA® exam course you decide on, I highly suggest that you at least check out their free trial. 180 Days of Access to Video Lessons and Study Notes. 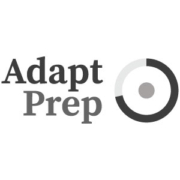 Take 10% OFF AdaptPrep CFA® Level 1, 2, și 3 Complete courses with this Adapt Prep coupon code! Copyright © 2019 CrushTheFinancialAnalystExam.com. All rights reserved.